Americans spent almost $51 billion on their pets in 2011, but pets still give much more than they receive. 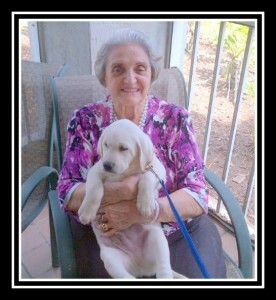 According to a study by the Journal of the American Geriatrics Society, independently living seniors who have pets are more active, cope better with stress, and tend to have better physical health and mental well-being than those who don’t. What if your pet outlives you? Many dogs and cats live as long as 20 years and some birds for up to 80. Yet fewer than 20% of pet owners make provisions for the care of their pets in the event of their own death or disability, causing hundreds of thousands of animals to wind up in shelters instead of with someone who cares for them. 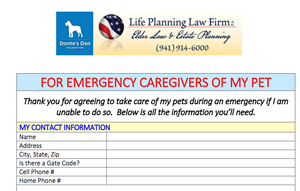 A great solution is to establish a Pet Trust that spells out what you want to happen with your furry or feathered loved one after you pass away. You can then determine who will care for your pet, stipulate the type and frequency of veterinary care your pet will receive, and set standards and provide funds for their daily care and expenses. 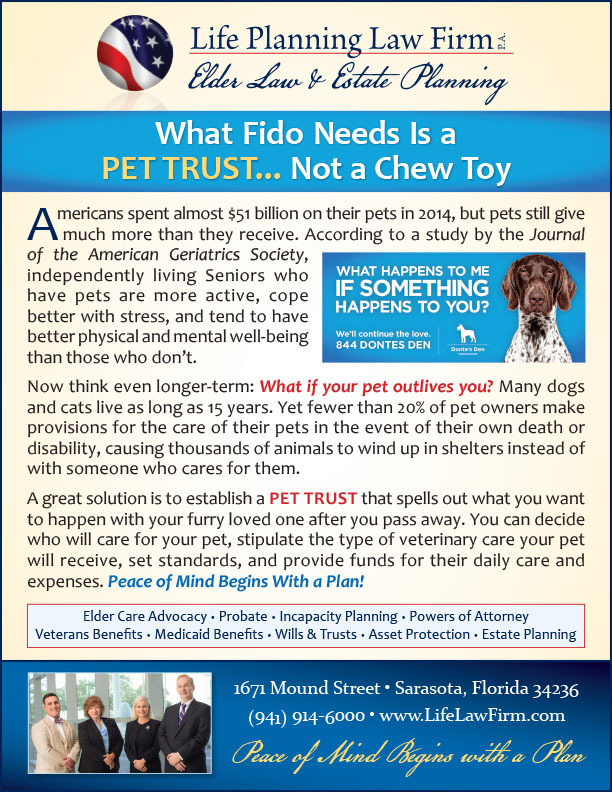 A Pet Trust might be the perfect way to ensure your love for your pet lasts for its lifetime, not just yours.